PLAINVILLE - A long-vacant building at 63 East Main St. has been filled, says Mark Devoe, town director of planning and economic development. Devoe said that the building became vacant in 2016, when the previous tenants - The Law Firm of Segal and Laska – moved to another location. 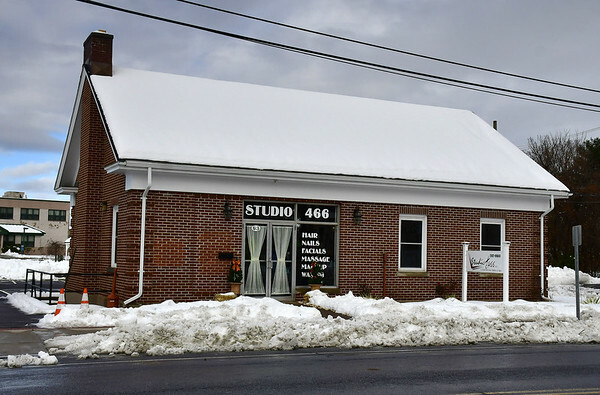 Town officials will be welcoming Studio 466 to its new home in downtown Plainville today at 4 p.m.
Donna Theriault said that she first opened Studio 466 in January 2006, purchasing their former location at 466 East St. Studio 466 will continue to offer facials, microdermabrasions, massages, and body waxing as well as new services. Posted in New Britain Herald, Business, Plainville on Monday, 19 November 2018 20:56. Updated: Monday, 19 November 2018 20:58.